Ever since the release of Burning Bridges, I have been hooked on Haste The Day. I’ve seen them live twice, picked up all their albums and have been eagerly awaiting the release of their newest CD: Dreamer. I will say this now and get this out of the way. This CD is as good if not better than their last release Pressure the Hinges. 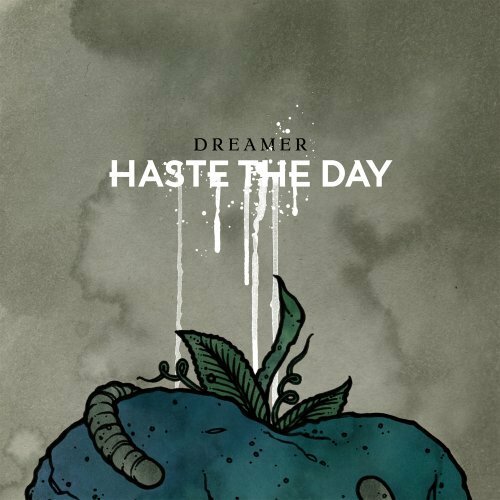 Dreamer starts off with a thought provoking first song(68) that immediatly brings on the typical heavy riffs and deep screams that the traditional listener is used to from this band. These songs are well written and its evident. In their first song called 68, Stephen Keech sings the words, “We wall fall to ruins if we don’t bury disguises that we’ve made, We will see the finish if we would carry ourselves to the end of the race, The judges will fall I am my own disease.” This lyrical writing is totally typical and thought provoking, as this band totally envelops themselves with the Christian mantra and belief of good vs. evil. Their systematic way of creating a headrush in everysong is evident. Although, that’s the major drawback of the CD, alot of the songs flow right into each other without any notation of speed and or tempo change. Meaning to the average listener one may come off as saying it’s repeated and hard to clarify the changes between songs. However, the notable tracks are surefire monster’s that Haste the Day is used to writing and playing. Haunting(track number 3) Is another great of example of great breakdowns and wonderful writing. Stephen Keech again shows that he is above and beyond basic writing by singing “We are but captives. We are deceased. We know that one day we will be free.” Each person has the right to take away the writing as how it applies to them in the daily world. Which is why I praise Keech’s open end approach to suggesting questions and thoughts in his lyrics. All in all this CD is a great pick up for $9 at most major retail stores. I am incredibly happy with the purchase, even with times of many songs flowing into each other, there are not many filler tracks on this album. Out of 11 tracks, I would say maybe 2 were just put there to take up space. Finally, it’s just too good to pass up if your influenced by Christian bands, and still want something heavy to rock out too.